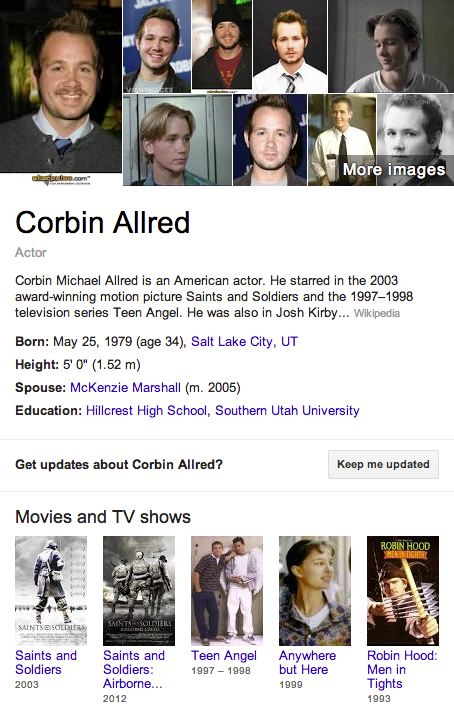 Corbin Allred got his start in Robin Hood - Men in Tights in 1993. Since then he has played in multiple LDS style movies. 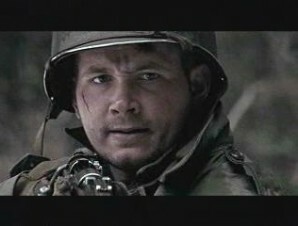 Corbin Allred has been in multiple LDS-style movies, most notably “Saints and Soldiers”. He also has had some non-LDS movie roles, as in his 1st break when he playing in “Robin Hood – Men in Tights”. In 2013 he landed a role as one of the missionaries that were kidnapped in Russia in the movie “The Saratov Approach”.